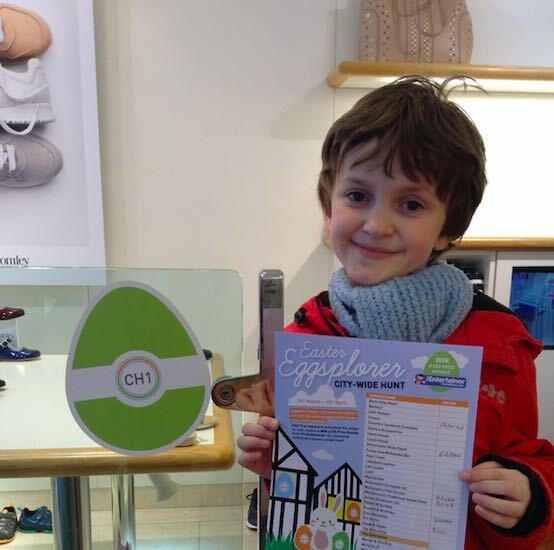 Children are being encouraged to go on a journey throughout Chester’s city centre and become ‘eggs-plorers’, as the popular Easter egg hunt returns for the fourth year. 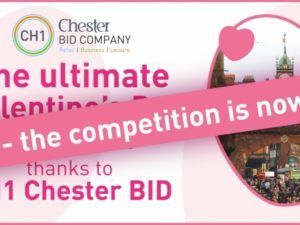 With a cracking programme of events available throughout April, CH1ChesterBID is aiming to bring the city to life for youngsters with a range of free activities, including an egg hunt, colouring competition and viewings of family friendly films. 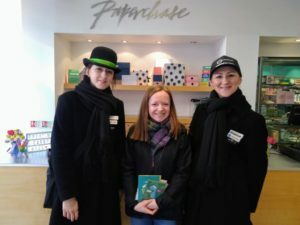 For 2019, the city’s Business Improvement District (BID) has made the trail bigger and better than ever, with over sixty stores taking part and more than 250 eggs hidden across the city centre. High-street favourites and locally loved stores including The Body Shop, Claire’s, Russel & Bromley, Cheshire Sandwich Company, Harriet & Dee and Mad Hatters are all hiding different coloured eggs amongst their stores for children to find. For every 10 eggs found, children can collect a sweet and enter a competition to win one of eight egg-citing prizes including a BusyBus family day tour, or toys from The Entertainer, Debenhams and Weasel & The Bug. Tasty treats from Crêpeaffaire, Towers and Lakeland Leather are also available to win, alongside a build, paint and play session from Games Workshop*. Children could also win a £100 Toy and Treat hamper from Tesco by entering an egg-citing colouring competition. Participating Tesco stores throughout the city centre will have the colouring sheets for families to collect or a version can be downloaded online. 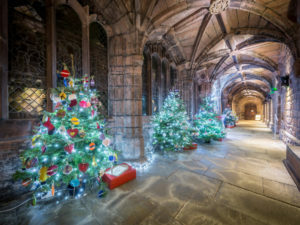 To add to entertainment available in the city, for the first year ever, Chester Cathedral is hosting an amazing indoor-outdoor cinema experience, with the Disney Pixar classic Finding Nemo and Titanic being screened. The central nave will be covered in artificial grass to re-create the atmosphere of an outdoor cinema event, without the need for an umbrella. Free Family Film Screenings of the Disney Classics Alice in Wonderland and Pinocchio will also be shown throughout the Easter period at Chester’s Grosvenor Museum. Tickets can be booked online at www.experiencechester.co.uk. A range of crafty activities are also being hosted throughout the city centre with Make and Take workshops including Fantastic Fossils, Fish Houses, Flower Wreaths, Ghost Dogs, Butterfly Planters and Paper Nests available for children and those young at heart to create at the Grosvenor Museum. Emily Ghazarian, CH1ChesterBID Events Manager, said: “Easter is a great time of year to get out with the family and enjoy the start of spring. Outdoor activities, such as our Easter Eggsplorer egg hunt give children the perfect opportunity to explore their local surroundings and collect sweet treats for their efforts. Entry forms for the Easter Eggsplorer egg hunt can be collected from the Visitor Information Centre by Chester Town Hall or at any of the participating businesses. Families can collect their sweet treats once they’ve found at least ten eggs at the Visitor Information Centre. The post An eggs-tra special month of Easter activities planned for Chester appeared first on Experience Chester. Love Local Month – Carl Christopher!